If you've been watching Black Mirror, first of all, our condolences go out to you on the loss of your optimism, which has no doubt been shaken off of you like the tail of a kindergarten classroom gecko. It's a tough watch, combining the chronophobic paranoia of a baby boomer with the in-your-face told-ya-so feeling of the most pretentious episodes of The Twilight Zone. Despite the feels-shredding torture gauntlet that every season seems to put us through, we keep watching. Maybe it's the deeply human storytelling that keeps us coming back, or maybe it's like Rolo Haynes said and we're just acclimating to hotter and hotter metaphorical emotion-peppers. Honestly, that's probably the only logical explanation for anyone being able to hit "next episode" through the San Junipero tears. 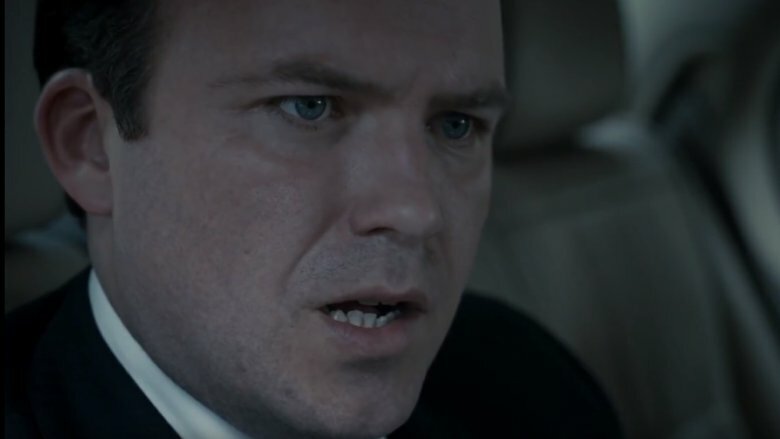 The thing is, when a show is throwing psychological gut punches the way Black Mirror does, it can be easy to ignore the cavernous plot holes. And yeah, if you're being fair, the point of an anthology sci-fi series isn't to make perfect sense. That doesn't mean we're not going to hold its feet to the fire. This is the internet. This is where we nitpick. If that seems like a grim outlook on the digital frontier, congratulations. Now you understand Black Mirror. Season 4 of Black Mirror had a lot of standout moments, but most fans (and critics, and Emmy committee members) agreed that "USS Callister" was the high point. It was a tale of toxic masculinity wrapped in Technicolor 1960s Star Trek aesthetics with "turn off your Sega and go play outside" underpinnings. Within the episode, Robert Daly is a video game designer who keeps an offline copy of his MMO running on his home computer, modifying the program to fit a decidedly Shatner-esque model of decor and uploading digital clones of his coworkers so he can play space god. What ensues is a shockingly crowd-pleasing revolt on the parts of his indentured cyber crew, who escape into the Internet like so many Wreck-Its Ralph and leave Daly behind in the simulation, where his program is erased, putting IRL Daly into a coma. So, putting aside the cheer-worthy win for the underdogs for a second, let's break that down. What we learn here is that Daly's game, which we've already seen is successful enough to warrant its own studio, will vegetate your brain if it doesn't recognize you as part of the approved code. That means that if you're still logged on when, say, a system update is taking place, there's nothing to stop you from being turned into a drool factory. Imagine if you'd had to take that chance to download Mists of Pandaria a couple years back. 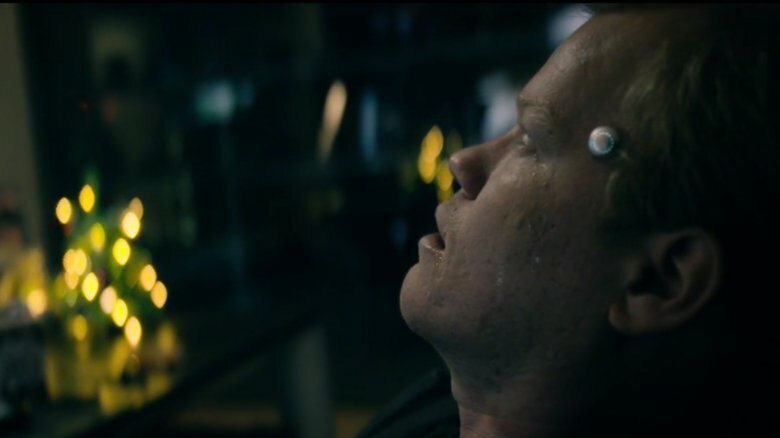 As Black Mirror episodes go, "Crocodile" is sort of the I Am Legend. Great setup, beautiful atmosphere, jaw-droppingly bad ending. It's practically a parody of the series itself. It feels like they had the script 95 percent done and then handed the last page to a The Village-era M. Night Shyamalan and said "go nuts, ya kook." Here are the basics. A murder most foul is committed to cover up an involuntary manslaughter, also most foul. Through a series of merry mix-ups, the case is unraveled by an insurance adjuster with the help of a "recaller," a computer designed to withdraw memories from the brain. The adjuster has to hook multiple witnesses up to the device to get a clear picture of events, since memories are subjective and tend to shift over time. Everybody on board? All right. At the end of the episode, another murder is committed, this one even most fouler than the ones before. There are no witnesses to the crime, save one: a humble guinea pig. 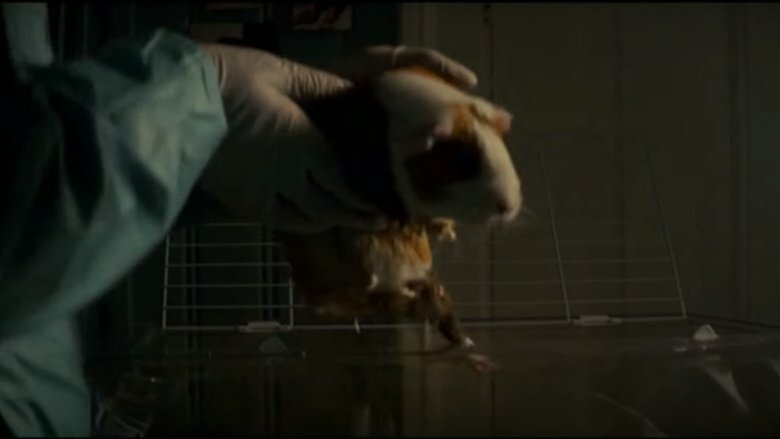 The cops use the recaller to take a statement from the guinea pig, who somehow retained the events well enough to lead to a collar and conviction, even though human memory, which tends to be more focused on events and less on food pellets, is too unreliable to trust without other human memories backing it up. It might be the philosophical bedrock of the entire show: Do computers have, for lack of a better word, a soul? The ethical consensus is a repeated "yes." We see digital copies of people, or "cookies," experience a full range of emotions, and the show gleefully gaslights us into thinking they're regular people so often that it's almost become a trope. Legally, however, cookies are seen as nothing more than computer programs. During "White Christmas," especially, we see that they're tortured and discarded on the daily. One character even says the ones who get pushed so far that they snap wind up being plugged into video games as cannon fodder. The message is clear: Cookies don't have human rights because legally speaking, they're not people. But if they're not people, how could their confessions stand up in a court of law? At the end of "White Christmas," we learn that (twist!) 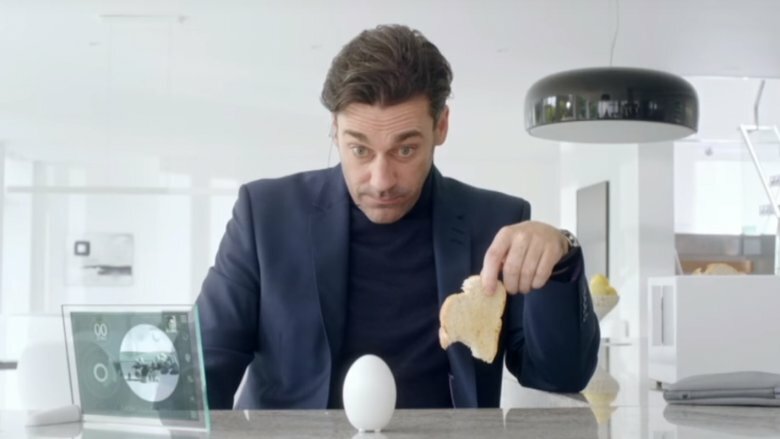 Joe was actually a cookie the whole time, and that Jon Hamm's character has been interrogating him, trying to extract a confession. It just seems like any criminal charge that hinged on the statements of, from a legal perspective, an Amazon Echo, would be on some shaky ground. Let's Memento this one and start from the end. A "99.8 percent match." That's what the Tinder facsimile in the last few shots of "Hang the DJ" promises to Amy and Frank. Anyone who's tried to date online would perk up like a lonely meerkat at odds like that, even if it means enslaving sentient computers a little bit the way Black Mirror tech inevitably does. Yeah, dating apps in the Black Mirror universe run on computer torture. Let's put the morality of that aside for a minute and just take it as fact that the ends justify the machiavellian means, since pausing to question the nature of the soul every time it pops up in this show feels like hitting every rest stop on the highway. The digitized versions of Amy and Frank are run through a ringer. 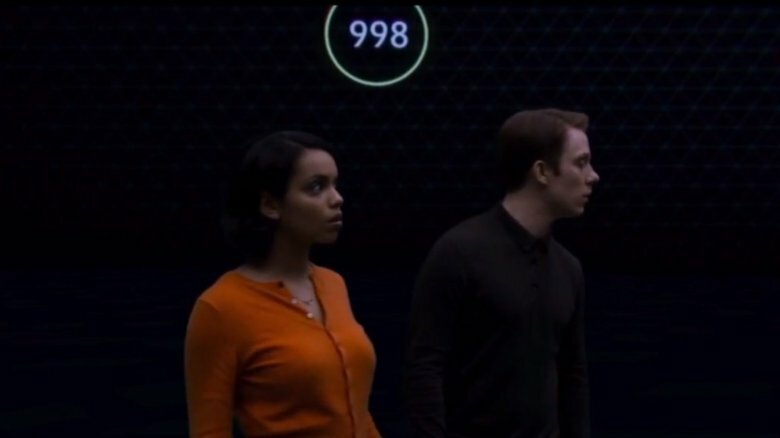 They're put into a dystopian virtual singles retreat where your every move is monitored and controlled, and in 1,000 simulations, they rebel and fall in love. Sure, that's romantic, but it also means that their relationship in these simulations is based around highly dramatic stakes, the kind that real, healthy couples tend to avoid. It's sweet to think that a willingness to run away from Big Brother together constitutes true love, but this wouldn't tell you anything about how well you'd mesh during boring, everyday life. Are they still a match once monotony sets in and it turns out that neither of them ever does the dishes? This one's pretty simple. During the series premiere, "The National Anthem," Princess Susannah of the royal family is kidnapped by a mysterious figure who refuses to release her unless the prime minister does, um, a thing. More on that later. When the prime minister tries to weasel his way out of doing aforementioned, um, thing, the kidnapper decides that it's time to prove he means business. How? He chops off the princess's finger and sends it to a news station. It's a jarring moment, and it's meant to evoke a sense of shock that hammers home the fear of the public as they watch a beloved icon being mutilated, and the mounting terror of the prime minister as the walls close in on him. Only, at the end of the episode, we see that it wasn't really the princess's finger, it was the kidnapper's finger. The much older, gentleman kidnapper's finger. A middle-aged man's finger was sent to a television station and they went to air with it, presumably not with the headline "young princess's rugged, masculine finger recovered." So about that, um, thing. No two ways about it. 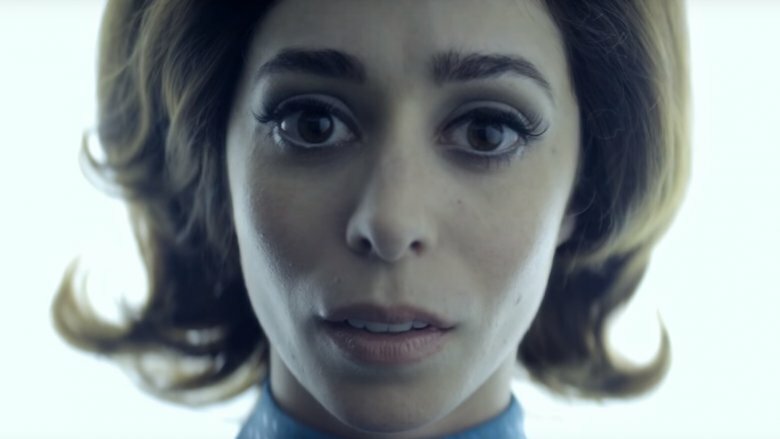 "The National Anthem," the series premiere episode of Black Mirror, is a slice of dark genius. It's sardonic. It's mean. It swerves to avoid your expectations at every opportunity. It's just plain remarkable television. It is also, inextricably, about a man getting it on with a pig. No future gadgets or underlying questions about the loss of social freedoms with the introduction of new technologies. Just a political thriller with televised beastiality as its centerpiece. And that makes it the weirdest introduction to a sci-fi series, possibly ever. 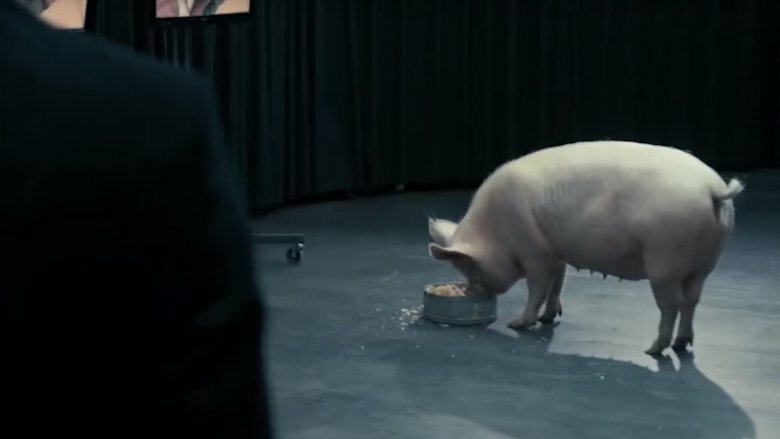 How was "The National Anthem" the world's introduction to Black Mirror, the rest of which is, without exception, a series of cautionary tales about the dangers of new applied sciences? Imagine if any other science fiction series had started on such a weird note. Imagine if Gene Roddenberry had pitched Star Trek that way. "It's sort of like Wagon Train in space. The crew goes on adventures through space and they're all parables about social issues. The first episode is about the president of present-day Italy trying to romance a family of Silver Appleyard ducks." The Season 4 closer, "The Black Museum," sort of feels like a Black Mirror fan film shot by the world's richest fan. It showcases props and story elements from the rest of the series roughly seven times per second. It's the sort of self-referential quasi-retrospective that you usually expect to see once a show hits the 100-episode mark, but whatever. It helps set a timeline for the program's universe and, overall, looks good doing it. Except when it doesn't. " The Black Museum," much like "White Christmas," is an anthology episode, telling multiple stories that all feed into a collective ending. Because the climax revolves around the results of a contentious criminal case, lots of these stories feature heavy references to the legal rights of cookies. According to Rolo, at some point, the U.N. made it illegal to house a cookie in a casing unless it was capable of displaying five or more emotions. 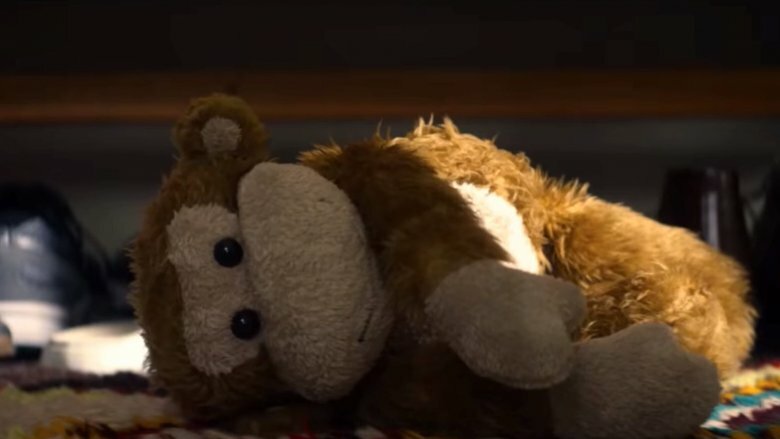 But at the same time, Rolo is not only displaying the still-conscious mind of Carrie in the monkey body where she was imprisoned years earlier. If international law says that she can't be in there, why isn't Carrie sipping Diet Tab in San Junipero by now?